A monoprint is similar to a monotype but is different in that a monoprint has an element of a printed "matrix" that will be the same as that used in a number of prints. This base can take any printed form and could be letterpress, lino or lithography. The artist will then add to this using monotype and can work on any surface from glass to metal and plastic, as long as it is flat and can go through the press it is suitable to use for this process. Thus a monoprint is not an editioned print but is rather a series of prints that share a common skeleton but which are each unique in the way that they have been completed. This technique was used a lot by the late South African artist Robert Hodgins at The Artists' Press. 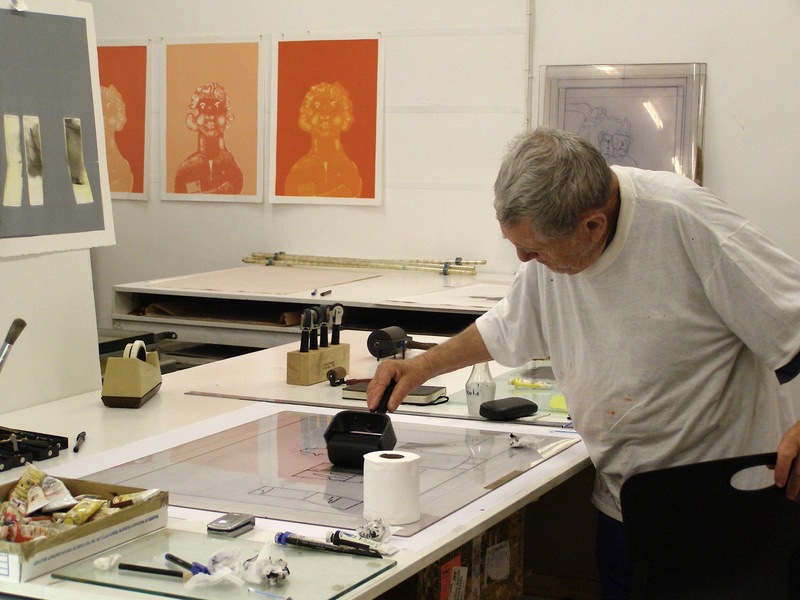 Monoprinting allowed his time in the studio to be very productive as well as exploratory. It is a technique which can be used as a way of reworking reject prints that have come off an editioned print run. The monoprint allows the artist to further explore their image and to take risks that they may have been too nervous to take with more "serious" work that requires lots of expensive paper and time at the press. The matrix can be stored and used months later by the artist and allows the artist to return to the base image with a fresh eye. For Hodgins it also allowed him to consolidate and clarify work that he was doing on canvas.